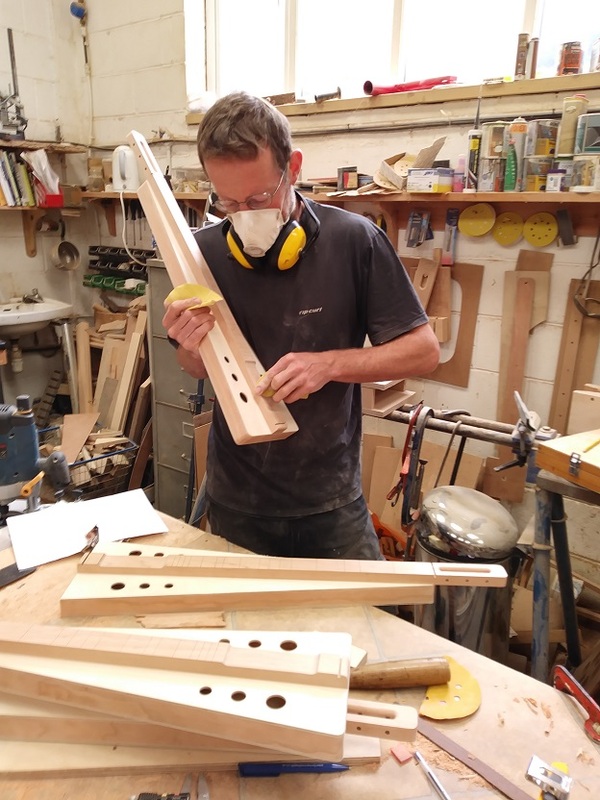 We have a project underway at present to build student mountain dulcimers here in the Dsynni Valley, Wales and have just completed (Aug 17) our first batch of instruments. Y Deryn Bach - The Little Bird has been designed to be suitable for individual players, schools and folk clubs. It would also make a great travel or camping dulcimer! The instruments have been made as a collaborative project between Dan Collister from Adventures in Wood and Bird Rock Dulcimers. The Little Bird has been from birch ply and American cherry. 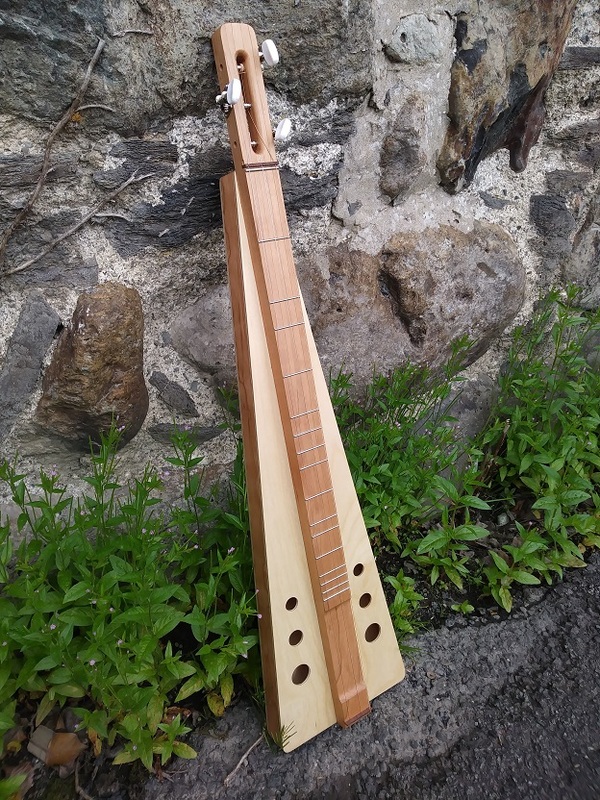 The design has a number of features taken from old traditional dulcimers: the fretboard is hollowed out giving more resonance to the small body; the bridge is right over the tail block giving a more bell like sound; and the dulcimer is fitted with 3 small wooden feet so it can be played on a table top as well as on your lap. Here is a short sound clip of Y Deryn Bach played on my coffee table at home.